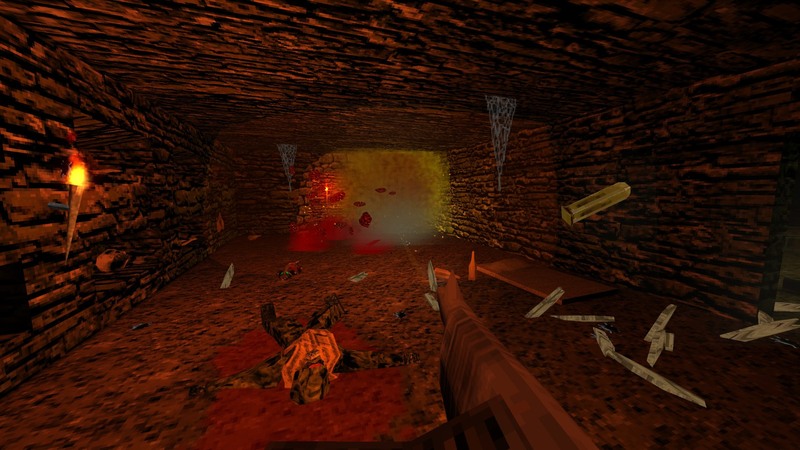 We may be in 2018, but that doesn’t mean proper groovy FPS classics like Quake, Blood, Doom, Heretic, etc. aren’t worth a damn still. Heck, I still fire up Quake from time to time, and you know what? Still great! Apparently the creator of DUSK feels the same, as so much of that game is straight out of the 1996 shooter… and that’s a good thing. Fast-paced, relentless, sinister, and overflowing with cultists… is how most would likely describe DUSK. While I’ve yet to experience the demonic slaughter myself, enough videos and streams have been witnessed to know that this is something truly special. Arguably less so for those who prefer regenerating health, lots of checkpoints, a cover system, and realistic textures to showcase the power of eye-melting lens flares. Everyone else just might find plenty to like as they attempt to survive its three episodes, each of which is “hand-crafted from straight outta the ’90s”, featuring plenty of wild weaponry (crossbows, grenade launchers, shotguns and swords, to name a few) and oh so many incredibly evil enemies. Sounds like a good time to me. DUSK [Early Access until December 10] is available on Steam, carrying a $20 price tag.